Inducing parental nostalgia with a decidedly retro look, the Saucony Shadow 5000 sneaker inspires kids to outdo their parents childhood athletic feats. Featuring an upper of stylish suede and mesh with an anti-microbial mesh lining to combat odors, this boys~ sneaker has an EVA midsole to mitigate impacts, and a non-marking synthetic sole for agile traction and clean floors. 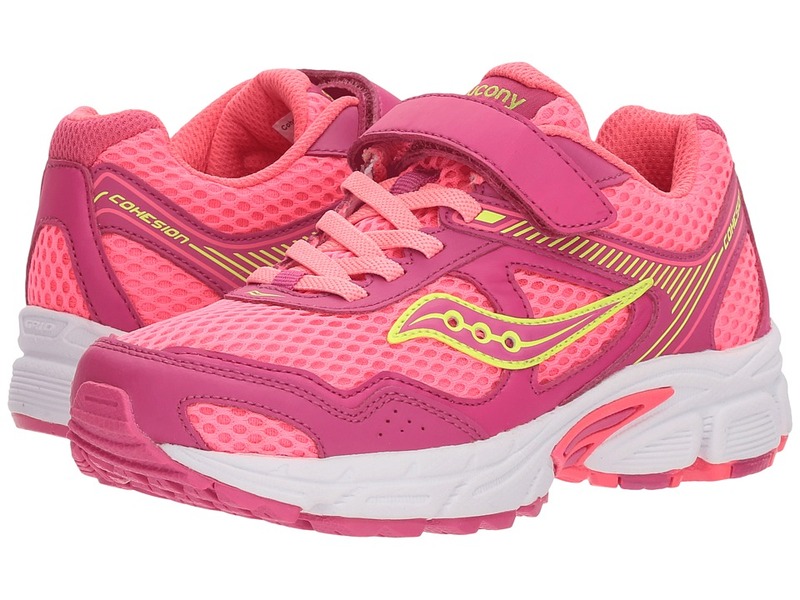 They will run like the wind in the Saucony Kids Zealot A/C running shoe. Adjustable instep strap with hook-and-loop closure. Anti-microbial fabric lining. Approx. 4 mm heel-to-toe offset. Cushioned footbed. Fixed elastic lacing. FlexFilm overlays. Rubber sole. 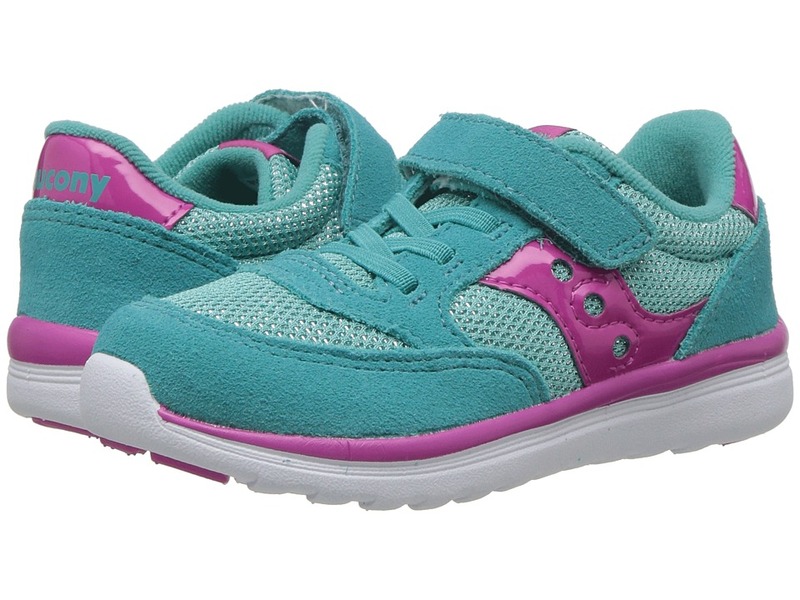 Their dainty feet will enjoy the dance of life with the Saucony Kids Baby Jazz Lite! Nylon and suede upper in a retro silhouette. Stitched elements for durability. Iconic side logo for a timeless look. Hook-and-loop with elastic lace closure for a snug fit. Padded tongue and collar for all-day comfort. Textile lining. Cushioned textile footbed. 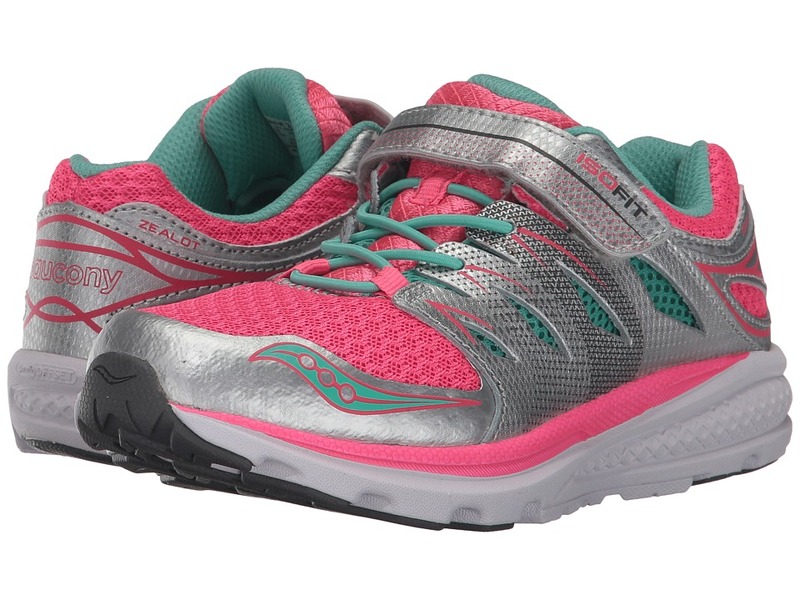 Lightweight EVA midsole for cushioning that won~t weigh you down. Durable rubber outsole. Imported. Measurements: Weight: 3 oz Product measurements were taken using size 10 Toddler, width M. Please note that measurements may vary by size. Weight of footwear is based on a single item, not a pair. 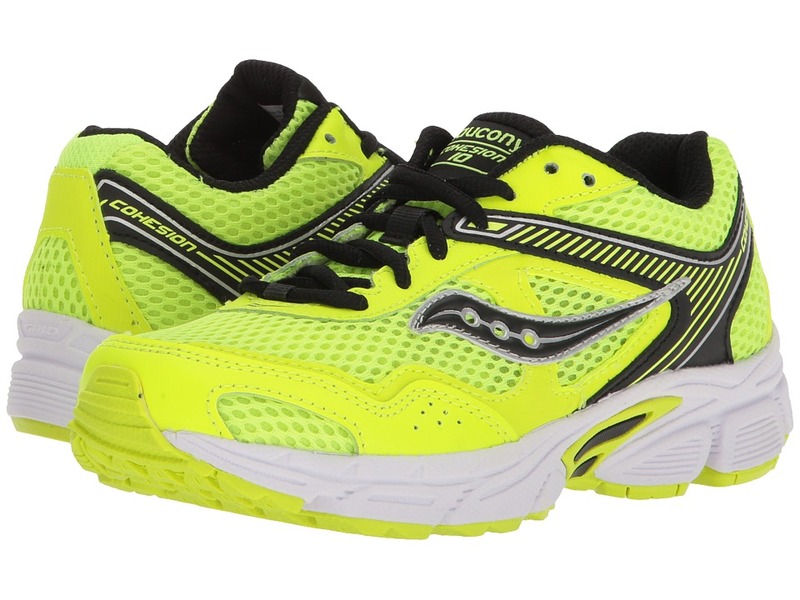 Watch them tip toe and bounce about to the beat of life with the Saucony Kids Jazz Lite! Nylon and suede upper in a retro silhouette. Stitched elements for durability. Iconic side logo for a timeless look. Hook-and-loop with elastic lace closure for a snug fit. Padded tongue and collar for all-day comfort. Textile lining. Cushioned textile footbed. Lightweight EVA midsole for cushioning that won~t weigh you down. Durable rubber outsole. Imported. Measurements: Weight: 2 oz Product measurements were taken using size 4 Toddler, width M. Please note that measurements may vary by size. Weight of footwear is based on a single item, not a pair. 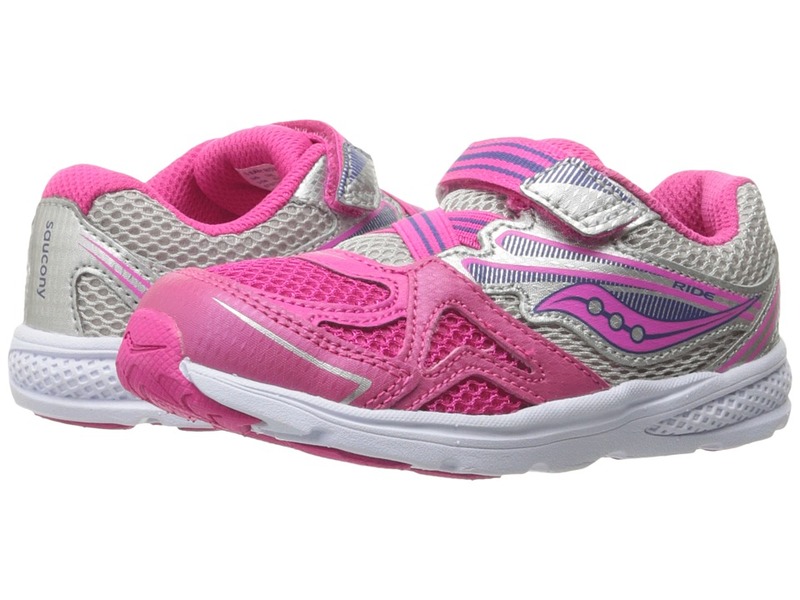 They~ll zoom ahead of the pack with the Saucony Kids Baby Ride 9! Synthetic and mesh upper. Elastic straps with hook-and-loop closure. Plush tongue and collar for all-day comfort. Removable, molded insole. PowerGrid technology provides superior cushioning. Rubber outsole with deep flex grooves for ultimate flexibility. Imported. Measurements: Weight: 2.8 oz Product measurements were taken using size 9.5 Toddler, width M. Please note that measurements may vary by size. Weight of footwear is based on a single item, not a pair. 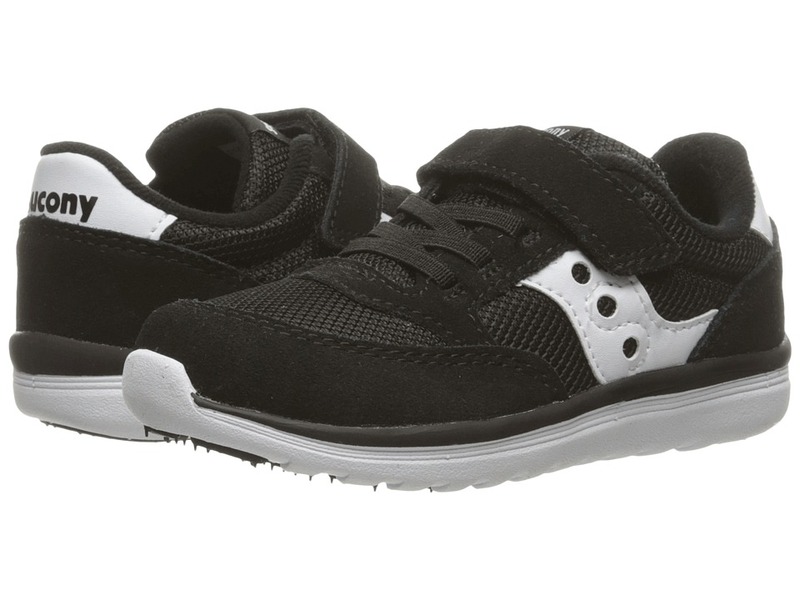 Add some extra performance to their stride with the Saucony Kids Cohesion 10. Breathable mesh and synthetic upper. External heel counter aids in stabilizing the heel. Reflective hits for added visibility in low lighting. Plush tongue and collar. Breathable fabric lining for a great in-shoe feel. Removable foam insole. IMEVA midsole provides increased shock attenuation, responsive cushioning and lasting durability. Heel Grid system for stable cushioning in the heel. Rubber outsole for optimal abrasion resistance and traction. Imported. Measurements: Weight: 7 oz Product measurements were taken using size 2 Little Kid, width M. Please note that measurements may vary by size. Weight of footwear is based on a single item, not a pair. 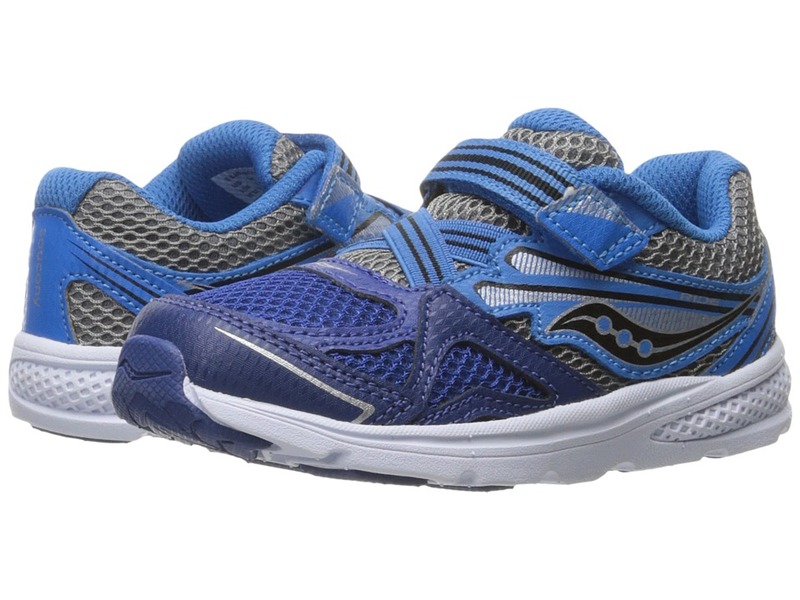 Saucony makes strides in performance with the Kids Cohesion 10 LTT. Breathable mesh and synthetic upper. Lace-up closure for a custom fit. External heel counter aids in stabilizing the heel. Reflective hits for added visibility in low lighting. Plush tongue and collar. Breathable fabric lining for a great in-shoe feel. Removable foam insole. IMEVA midsole provides increased shock attenuation, responsive cushioning and lasting durability. Heel Grid system for stable cushioning in the heel. Rubber outsole for optimal abrasion resistance and traction. Imported. Measurements: Weight: 8 oz Product measurements were taken using size 4 Big Kid, width W. Please note that measurements may vary by size. Weight of footwear is based on a single item, not a pair.